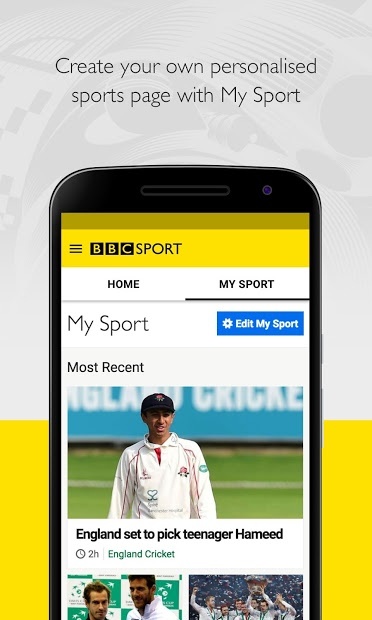 The official BBC Sport app offers the latest sports news, live action, scores and highlights. It’s a good way to follow all the latest sporting action. 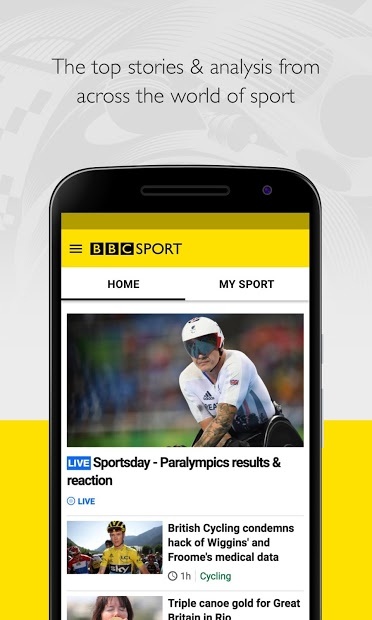 Select your own personalised sports news notifications and check them on the home screen, displaying the top stories & analysis from across the world of sport. Also watch major sporting events live or catch up with on-demand highlights. Set notifications for sport news to don’t miss anything. For more than 150 football teams, dozens of cricket and rugby teams and every Formula 1 race.